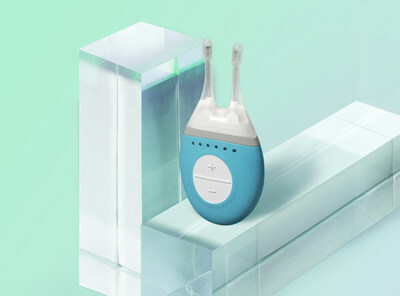 DUBLIN, April 25, 2017 /PRNewswire/ -- Allergan plc, (NYSE: AGN) today announced that it has been granted marketing authorization from the U.S. Food and Drug Administration (FDA) for TrueTear™ Intranasal Tear Neurostimulator, the first and only FDA-cleared device developed to temporarily increase tear production during neurostimulation in adult patients. TrueTear™ is a handheld stimulator with daily disposable tips that is inserted into the nasal cavity to induce the production of tears. There have been two clinical studies showing positive safety and effectiveness of the device in the increase of tear production completed with 145 aqueous deficient dry eye adult patients. "TrueTear™ represents a technological breakthrough for eye care professionals as it delivers an effective, non-invasive and drug-free way to temporarily increase tear production," said David Nicholson, Chief R&D Officer, at Allergan. "As an innovator in eye care, we are continually looking for new products to offer through our portfolio, and TrueTear™ represents the next step forward." The new advancement is an addition to Allergan's current eye care portfolio. Last May, Allergan announced positive results from two pivotal trials for TrueTear™ that showed an increase in tear production upon nasal neurostimulation in adults with aqueous tear deficiency. "In clinical trials, TrueTear™ demonstrated increased tear production upon stimulation of the nasal cavity," said John Sheppard, M.D., M.M. Sc., professor of Ophthalmology, Eastern Virginia Medical School and president of Virginia Eye Consultants. "Interestingly, neurostimulation has been used as an approach for a wide variety of disorders for more than 30 years. TrueTear™ is the first of its kind to provide a temporary increase in tear production in this way." Study 1 is a prospective, randomized, controlled, double-masked, multicenter, cross-over trial in which participants used an active device and two control applications. The primary effectiveness endpoint of increased tear production during intranasal application as measured by Schirmer score compared to both controls was met. Study 2 is a prospective, single-arm, multicenter, open-label clinical trial in which participants used TrueTear™ to stimulate tear production for 180 days. 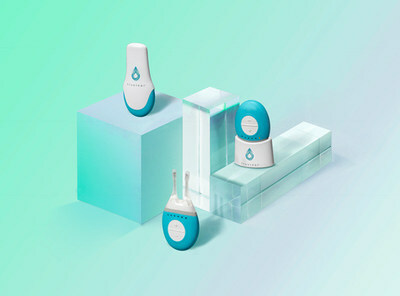 The primary effectiveness endpoint of increased tear production as measured by Schirmer score during application of the device compared with basal Schirmer score at Day 180 was met. Secondary endpoints of increased tear production as measured by Schirmer score during application of the device compared with basal Schirmer score at Days 0, 7, 30 and 90 were also met. The direct clinical benefit of temporarily increasing tear production as a therapy for patients with dry eye disease was not assessed as part of these clinical trials. All device-related adverse events were mild in nature. There were no device-related serious adverse events. TrueTear™ provides a temporary increase in tear production during neurostimulation in adult patients. Do not prescribe TrueTear™ to patients with a cardiac pacemaker, implanted or wearable defibrillator, or other implanted metallic or electronic device within head or neck; a known hypersensitivity to the hydrogel device material; or chronic or recurrent nosebleeds, or bleeding disorder/condition that can lead to increased bleeding. Do not apply stimulation around electronic monitoring equipment (eg, cardiac monitors, ECG alarms), in the bath/shower, while driving, operating machinery, during activity in which sneezing/watery eyes may cause risk, areas other than the nose, within 3 feet of shortwave or microwave therapy equipment, around flammable anesthetics mixture (air, oxygen or nitrous oxygen). Persistent use on irritated nasal tissue may cause injury. Safety/effectiveness not established for longer than 6 months or for treating aqueous-deficient dry eye disease. Safety not established in pregnancy, patients under 22 years of age, patients with nasal or sinus surgery (including nasal cautery) or significant trauma; severe nasal airway obstruction or vascularized polyp; active, severe systemic or chronic seasonal allergies; rhinitis or sinusitis requiring treatment; untreated nasal infection; and disabling arthritis, neuropathy, severe dexterity impairment or limited motor coordination. Consult patients to discontinue use if pain, discomfort or numbness in the nose persists after adjusting for high levels/long sessions; to remove studs, nose rings, or other nose jewelry before use; to not use prescription eye medications or nasal sprays 30 minutes before or after using TrueTear™. Suspected or diagnosed heart disease patients should follow doctor's precautions. Keep away from children. Caution: Federal law restricts this device to sale by or on the order of a licensed physician. For the full Directions for Use, please call 1-800-678-1605. Please call 1-800-433-8871 to report an adverse event.